I eat more chicken than any other kind of meat. 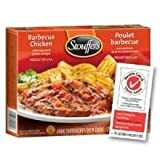 The BBQ sauce that’s used on this Stouffer’s Chicken in Barbeque sauce meal is nice and tangy, and the side of cheddar bacon potatoes is pretty good. 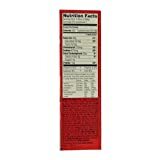 Nestle Stouffers Entree Barbeque Chicken Breast in Sauce, 10 Ounce - 12 per case. 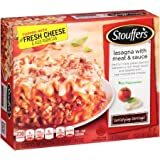 When the local grocery store offers these on sale as a buy 1 get 1 free, or some other deal that put’s the pricing between $2-$2.50 I will usually buy a half dozen different Stouffer’s meals, and this is always going to be one of the ones that’s placed into my grocery basket. They also sell the cheddar bacon potatoes as a stand alone product. 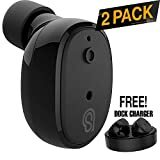 I noticed that one of today’s daily deals is for 50% off select Skechers shoes on Amazon Prime. A friend of mine has told me he’s very happy with the Skechers shoes he’s purchased and worn, but I haven’t tried them out myself. I do recall watching an story about the company on one of the business news channels, and how the company aims for casual athletic rather than leading edge technology athletic as some other high priced competing shoe makers do. Some say that breakfast is the most important meal of the day, but there are times when I just drink a cup of coffee and wait until lunch time to eat. On the days I decide to have breakfast, I’ve found that the Jimmy Dean breakfast bowls , found in your grocer’s freezer section, make for a fast and satisfying meal. Jimmy Dean Country Gravy Sausage and Cheddar Potatoes and Egg Breakfast Bowl, 7 Ounce - 8 per case. The bowls are available in a number of different ingredient combinations, but the thing in common is eggs. I find the eggs in these meals to be good even though they have been frozen. This meal with gravy heats up pretty well in the microwave in just a few minutes. Normal pricing at my local grocery store is 2 for $5, so at $2.50 a meal they aren’t that expensive. I’ve been seeing a low airfare for Orlando to Mexico City show up in my Kayak alerts for the past couple of days. I have a lot of alerts setup for the airports in Central Florida, and I don’t recall seeing it this low before. In this case it’s on JetBlue in Economy, in February. I use these alerts as a starting point for ideas on trips to take, and also if I’m interested as initial data for a more in depth search for fares and availability. International flights under $200 round trip with all taxes included are going to get my attention. I went to Mexico City in May of 2014 for my first and so far only visit. This was a business trip. The location of my work was in a suburb of Mexico City named Santa Fe. There was a shopping plaza located underneath the Hilton hotel that had a variety of shops and restaurants, and a movie theater. I had been eating authentic Mexican food during my trip but wanted a hamburger on this day, so I ate a meal at Chilli’s. Using the dates from the Kayak alert (2/3-2/10) A quick search on Expedia shows a nightly rate of $235 for the J.W. Marriott with the Hilton at about the same. Mexico City is a big place so I checked Expedia’s site for deals during the same date range, and there’s a variety rates and locations available. More than half of the results are less than $124 a night, including three star rated hotels for less than $75. A quick search for average temperatures in February shows daytime highs in the 60’s and overnight lows in the 40’s. During my business trip I took pictures of the office I was working in, and the food I ate in the cafeteria which was authentic and pretty good. Sadly I didn’t get out very much to see the city and to get more practice speaking Spanish. There was a nice American Express lounge at the MEX airport that I visited on the morning of my departure back to the United States. If I was looking to visit again, this airfare would be a good one to use.